I don’t know how other people shop, but I feel like we spend a lot of time at the grocery store. We eat a lot of fresh food so we generally stop more than once a week to pick up groceries. We have spent some time recently working on a plan to support green grocery shopping. It can be pretty easy to get caught up in my list and not even think about being green. It’s definitely something that I am going to have to practice to make it more of a habit. Fortunately for us, we live in a city that embraces green grocery shopping. Stores here don’t offer plastic shopping bags and you have to request paper ones, or pay for them. It can be a hassle, but I appreciate that it’s making a dent in our trash. One person makes a drop, a whole city makes a wave. It all adds up to better habits and better living for our community. As we are moving into a greener lifestyle I thought I’d share my tips for smart shopping. Small changes can lead to bigger ones. Like everything new, I suggest you pick one or two things to try and once they become a habit add another. That’s the plan in our household. This is one of the things that we already do so it’s an easy one for us. If you don’t already own reusable bags you can purchase them at most grocery stores now. They run around a dollar and the big bonus is that they hold so much more than those flimsy plastic bags. So you not only benefit in helping out the environment, you also have less trips back and forth to the car. We also have an insulated one for our ice cream and other perishable items. It gets pretty hot here in the summer so it’s practically a necessity, but we use it all year. It’s nice to unpack all the cold stuff right into the fridge and freezer and it keeps everything else from getting condensation on it. The best plan is to store your bags in your car so that you have them with you when you need them. The alternative might be to store them with your grocery list. I like to unpack my groceries, stack the bags inside each other, and put them back in my car. Then I can stop at the grocery on the way home from work and know that I have my bags ready. The other place to curb your plastic use is in the fruit and veggie area. Net bags or mesh bags are perfect for these items and they’re washable and reusable. Be sure to recycle the plastic bags that you do make it home with. You can usually return them to a bin at the grocery store, or you can reuse them on a future trip. I like to wrap my meat in plastic so we return those bags to recycling. Also note that some stores offer a rebate for bringing your own bags. Most Target stores will give you five cents per bag as a discount on your purchase. Be sure to check with your local store to see what they offer. 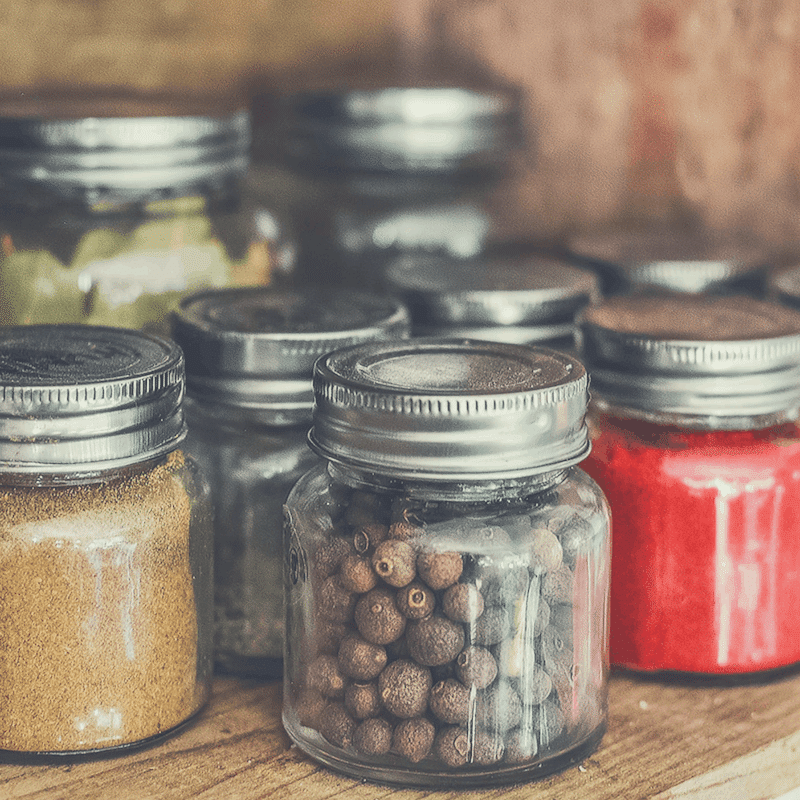 Buying in bulk is a great way to support green grocery shopping. This is one way to cut down on unnecessary packaging. Bulk foods are ready for you to display in all your reusable containers; think about all those mason jars and mesh bags. They make for a pretty pantry too! The cost of bulk food is generally less than the pre-packaged item and you can also purchase exactly the right amount. If you have a large family, or if you’re just cooking for two it’s helpful to not over buy. These cotton mesh bags are fantastic because they come in an array of sizes and can easily be thrown into the washer as needed. Be sure to read labels when you’re shopping. It’s takes some time and there’s a learning curve, but it’s important for you to know what you’re putting in your body and bringing into your house. This is good for you and for the environment. If there’s an ingredient on there that you can’t pronounce and you’re not sure what it is, well check it out. There are many products that claim they are “green” or “natural” but it’s up to us, as consumers. to study those claims. This is a handy guide to labels to look for. Buy Organic and non GMO when possible. If your budget doesn’t support this right now then try to at least stick to the clean 15 and avoid the dirty dozen. Here is the full list for you so you can learn about them. There’s no doubt that seasonal and local produce is going to taste far better. It’s better for the environment since it’s less traveled. It also retains more nutrients since it’s picked closer to ripeness. Many seasonal fruits and veggies can be canned or frozen for future use. This will not only save you money, but it can also make for some tasty gifts! We have a great farmer’s market in our town on Wednesday afternoons. 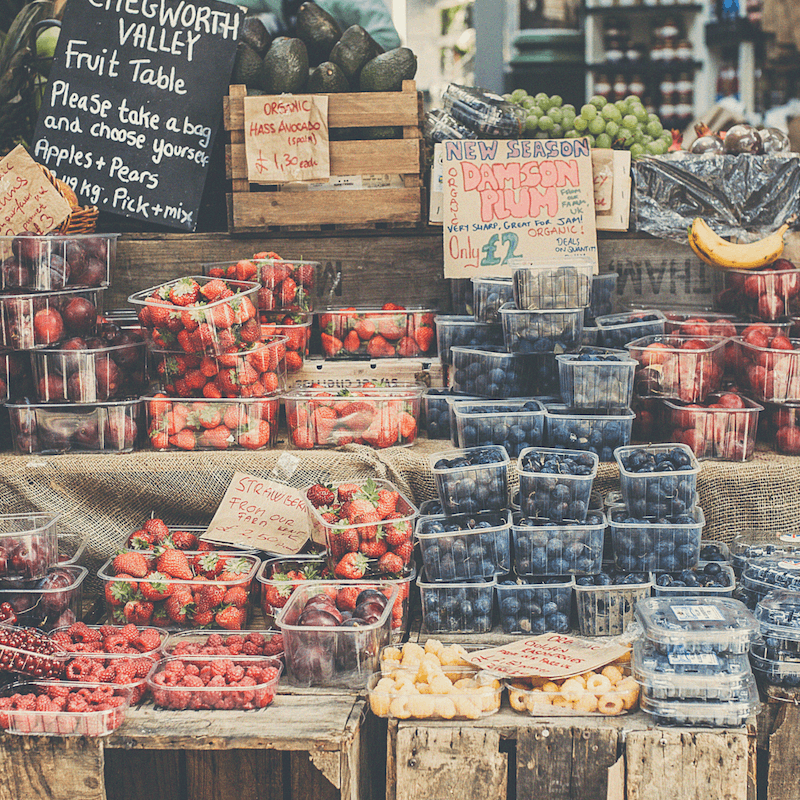 There’s a larger farmer’s market on Saturday mornings that’s not too far from us. 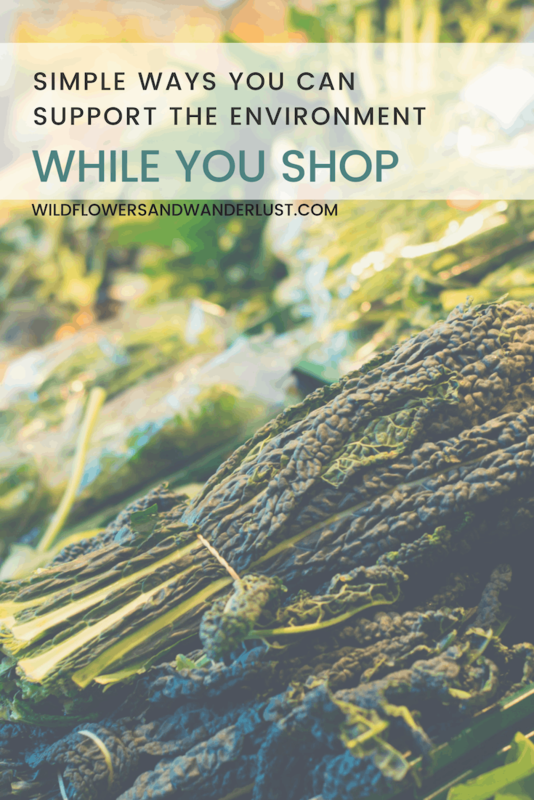 This is a great source for fresh, in season produce and some great artisanal items that I don’t find at our local grocery store. We’ve tried some foods that we normally might not have since the growers at our market are on hand with samples, recipes and suggestions. This is also a great way to learn about what can be grown locally. Most grocery stores, even the big chains, source some items locally. If you’re not sure what items they are then ask. Many stores are happy to support local farms and community’s and they’re proud to tell you about those relationships. Shopping locally also saves on resources like gas and time, and time is something we’re all trying to save! When I’m not prepared for a grocery run, I will wind up with a whole bunch of items in my cart that I don’t need. Some people say, “Never shop hungry” but I think “Never shop without a list” is just as important. I keep an ongoing list of items on my phone as we get low on them. This helps to keep us from running out of items that we don’t normally purchase, like light bulbs! Meal planning is also a great time saver and can make your evenings go smoother since you’re not standing in front of the fridge trying to figure out what to fix for dinner. If you plan your meals ahead it helps cut back on waste. Another bonus – if you don’t overbuy, you don’t overspend! The outer edge of the store is usually where you’ll find the healthiest foods. Usually this is where produce, dairy and meat are kept and the middle aisles have pre-packaged and canned items. Try to keep your shopping to the outer aisles and skip those in the middle. Do you look at the receipts? Most of the time I just stuff them in my purse and then recycle them. Since I don’t return groceries I feel like avoiding that receipt is an easy part of green grocery shopping. I sign up for e-mail receipts for any of the stores that offer them and then I have a filter in my in-box to send them right into a file. I’ve got them if I need them, and I don’t have to dig through a pile of them to find the one I’m looking for. That’s a win-win in my book. Get yourself a reusable bottle and a water filter. Many public places have filtered water to refill your water bottle. If you carry your bottle around with you, you’ll probably end up drinking more water and we all love the added benefit of that! Bonus points for cute (and glass) bottles, like this fantastic option that opens on both ends for easy gem-infused water. With our oceans and landfills filling with plastics, any choices we make to reduce our plastic consumption is a step in the right direction for our planet and skipping the package of bottled water is an easy start. 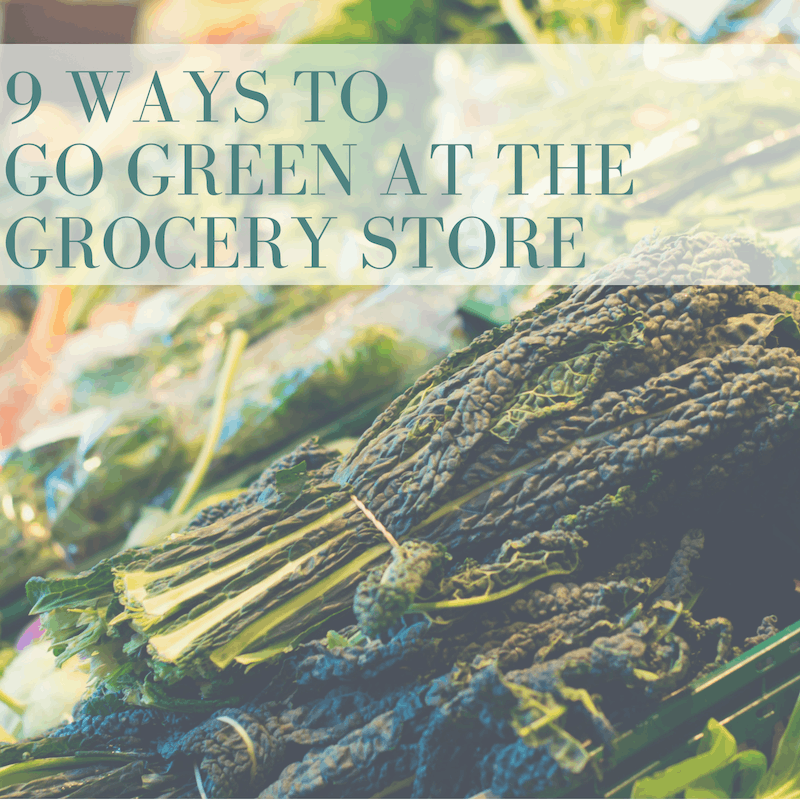 So those are our tips for green grocery shopping. Which ones do you follow already and which ones are you going to try? Let us know in the comments below.